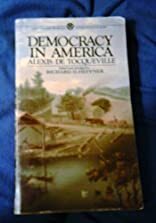 Originally penned in the mid-nineteenth century by Frenchman Alexis de Tocqueville, Democracy in America remains the most comprehensive, penetrating, and astute picture of American life, politics, and morals ever written, as relevant today as when it first appeared in print nearly two hundred years ago. This abridged edition by scholar and historian Scott A. Sandage includes a new introduction and editorial notes, and offers students and the general reader alike easy access to the preeminent translation by George Lawrence, widely recognized as the best translation based on the second revised and corrected text of the 1961 French edition, edited by J. P. Mayer. About Alexis De Tocqueville (Author) : Alexis De Tocqueville is a published author. 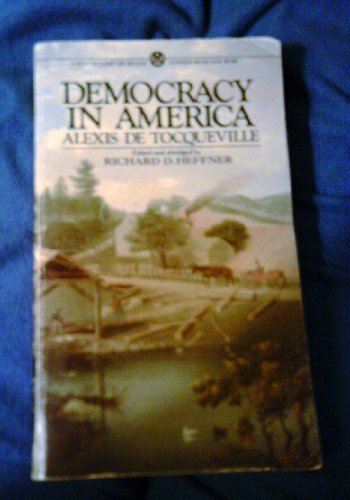 Some of the published credits of Alexis De Tocqueville include Democracy In America, Democracy in America (2 Volumes).